The Blenheim Lead Crystal champagne flute and Laurent Perrier Champagne set would make an ideal gift for a birthday or graduation. 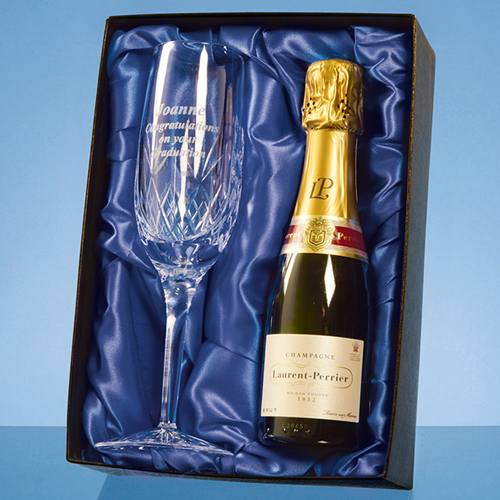 The glass has diamond cut detail and an engraving area which can be personalised with any crest, logo or wording. This gift set is presented in a satin lined box and is sure to be treasured and enjoyed by the recipient.